Following hotelier Lawrence Kenwright's attempt to turn the historic Grade II-listed Coal Exchange into a four-star hotel in time for Cardiff hosting the Champions League final. 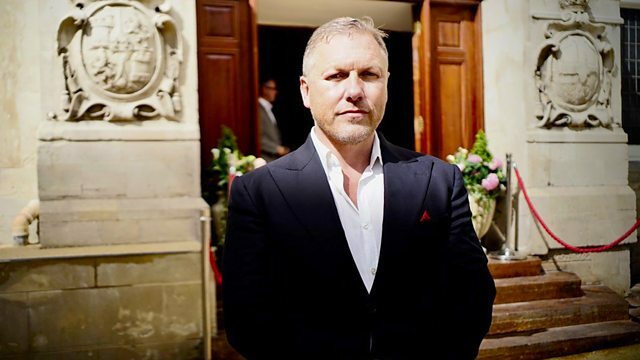 Liverpool hotelier and entrepreneur Lawrence Kenwright is battling to bring one of Cardiff's most historic buildings back to life in time for Cardiff hosting the Champions League final. Lawrence wants to turn the Coal Exchange into a glitzy four-star hotel, but he not only has to make the figures stack up and motivate the workforce, he also has to please the local residents and action groups. Set in the heart of Cardiff's old dockland, the Coal Exchange was where the world's first recorded million-pound business deal was struck in 1901. It's a building that people care about passionately, but after the decline of the coal industry, it was closed in 1958. For the next 50 years, the building was variously a night club, dance hall and a popular live music venue. Over the years, the Coal Exchange has been decaying. Local people and action groups have been campaigning to try and save it since its final closure in 2014. In April 2016, Liverpool developer and hotelier Lawrence Kenwright acquired the Coal Exchange - with huge plans to turn it into an impressive four-star hotel and spa. Local people and action groups were hoping that the Coal Exchange would be sympathetically restored in keeping with the building's Grade II listing. This documentary follows the entrepreneur, his builders, the workers and the objectors. Will the Exchange Hotel be ready for the football fans in time for the Champions League final, and has the Coal Exchange been restored to its former glory?